Home > News > Successful organization of ‘North and North-East India Hindu Convention’ at Varanasi ! 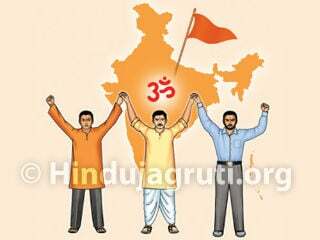 Varanasi (Uttar Pradesh) : ‘North and North-East India Hindu Convention’ organized for 4 days by Hindu Janajagruti Samiti (HJS) was successfully concluded amidst acclamation of ‘Jayatu Jayatu Hindu Rashtram’. More than 160 devout Hindus, representatives of pro-Hindu organizations, advocates and reporters from Uttar Pradesh, Madhya Pradesh, Chhattisgad, Bihar, Jharkhand, Bengal, New Delhi, Odisha, Assam, Tripura and Arunachal Pradesh attended this Convention held between 21st and 24th November. 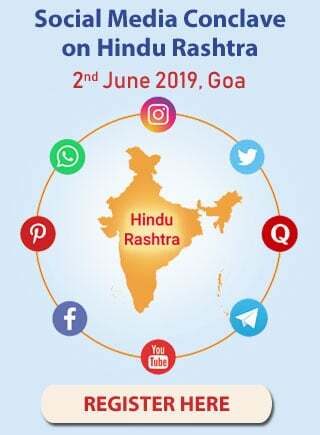 Pro-Hindu organizations finalized action-plan for working towards the mission of establishing Hindu Rashtra in States from North and North-East. The above information was given by Shri. Ramesh Shinde, national spokesperson of HJS during press conference held at Paradkar Bhavan. 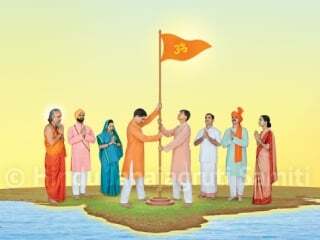 ‘Pujya’ Nilesh Singbal, HJS-Guide for North and North-East India, Shri. Chetan Rajhans, national spokesperson of Sanatan Sanstha and advocate Kamaleshchandra Tripathi, national President of ‘India with Wisdom’ shared the dais with him. 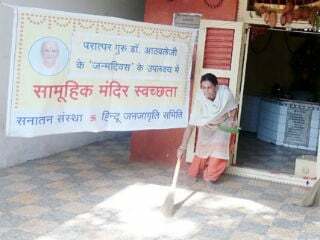 Devout Hindu activists decided to undertake various drives such as ‘Dharmashikshan’ classes, Hindu Rashtra-jagruti Sabha, meetings for Hindu unification, Hindu Conventions and ‘Rashtriya Hindu Andolan’ etc. 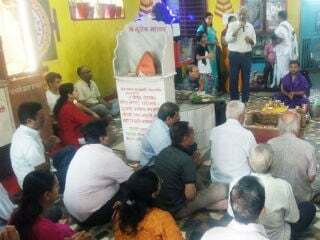 Devout Hindu activists narrated their efforts towards protection of ‘Hindutva’. Advocates, thinkers and reporters enthusiastically participated in discussion sessions held on ‘Secular system and Hindu Rashtra’ and ‘Modern and ancient education System’. ‘Topic of ‘Hindu Charter’ was also discussed for just demands of Hindus and for their getting equal rights in this country. On the first day of Convention, ‘Convention for advocates’ was held and on the last day, ‘Sadhana Shibir’ was conducted. Importance of ‘sadhana’ was also explained for acquiring divine power to work for protection of ‘Hindutva’. 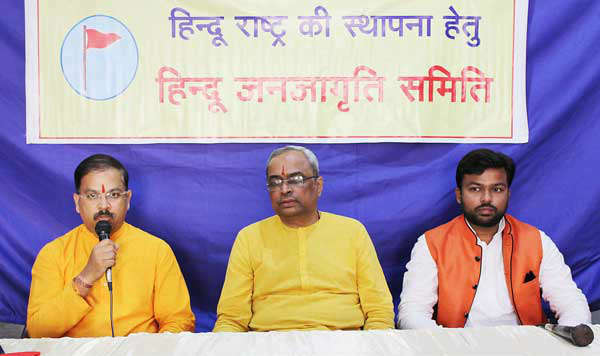 Lakshmanpuri (Lucknow) : Devout Hindu activists participating in ‘North and North-East India Hindu Convention’ will be undertaking ‘Hindu Rashtra-jagruti’ campaign, informed Sadguru (Dr.) Charudatta Pingale during the press conference held at ‘UP Press Club’. Shri. Shambhu Gaware, spokesperson of Sanatan Sanstha and Shri. Ambuj Nigam of ‘Vishwa Hindu Dal’ were also present on the occasion.